I first made this fall-inspired crumble for my little sister’s birthday a few months ago. Yes, months… I first made it back in September! So why did I wait until now to post about it? 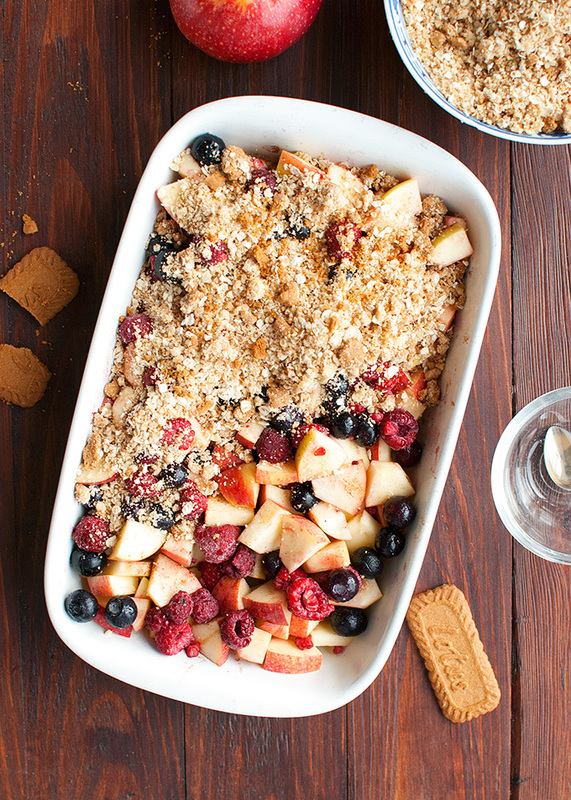 I mean, why not share an awesome recipe for a fruit crumble (crisp, whatevs…) straight away? Especially since my entire family loved it and asked for second and third helpings, and because it’s so easy to throw together you can even make it without proper counter space and kitchen utensils? <– (I made my sister’s birthday crumble with a blunt knife, working on an ironing board, because the table was already laid and my brother-in-law’s kitchen was a mess)! Why indeed? Because of the baby, of course! As you probably know, back in September (and July, and August, and October) I was working ahead for the blog. Developing recipes, taste-testing, baking, taking photos… because I knew there would be a time somewhere around now when I wouldn’t have the time/energy/agility to do those things. And no, this isn’t a weird way to tell you guys that my baby has been born already. He or she is sleeping soundly in my belly at du moment. 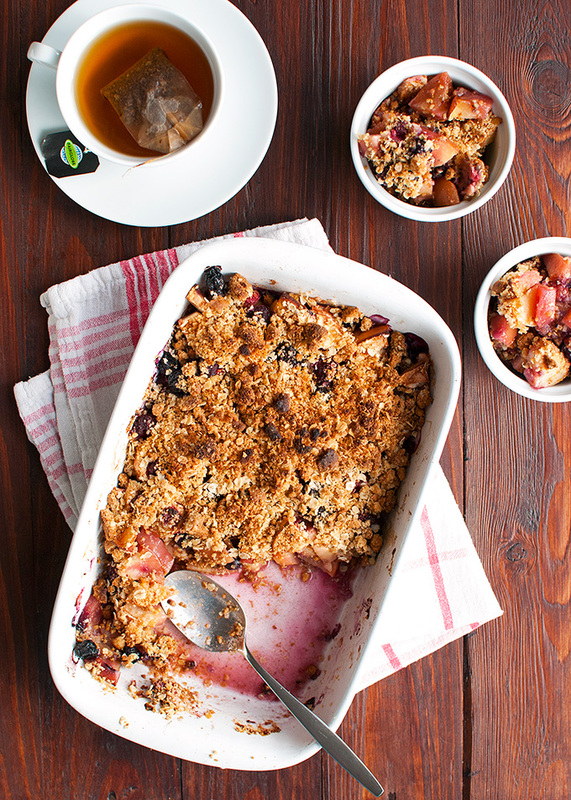 But it is why I waited two months to present you guys with the greatest crumble recipe ever! And yes, of course there are oats involved! 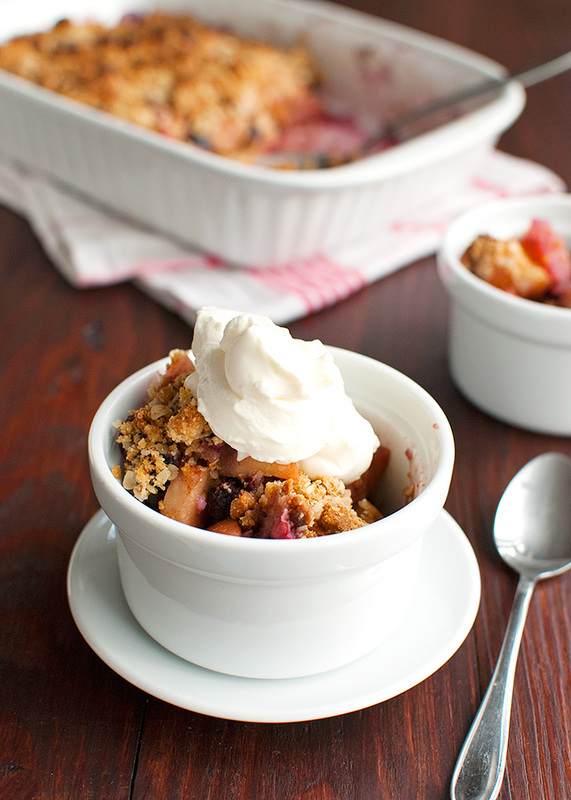 Like all fruit crumbles, this particular fruit crumble is really easy to make. It all starts with your favorite fall fruits. For me, this means apples and berries. Why apples? 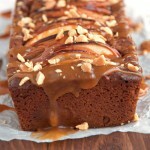 Because baked goods with apples just scream fall to me! 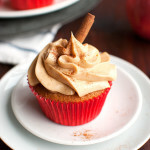 Moreover, cinnamon (my favorite spice for fall baking) just loooooves apples. No surprises there, right? You can stick to apples if you want to, but I added some frozen berries, too. The berries (I used blueberries and raspberries) are not necessarily in season anymore (maybe just the raspberries), but since frozen berries are cheap and available all year round, I’d say throw some in there! They give the crumble a delicious fruity tang. Toss all the fruit together (no need to peel the apple), add a sprinkling of sugar and a touch of cinnamon, throw the fruit into an oven dish and you’re almost done! All there’s left to do is make the topping. 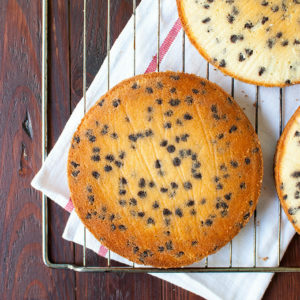 The secret to the topping is crushed Biscoff cookies. Seriously guys, those crushed Biscoff cookies take the entire dessert to a whole new level of fally goodness! Oh, and I already mentioned the oats, right? Of course there are also oats in the crumble topping. Oats make the world go round. 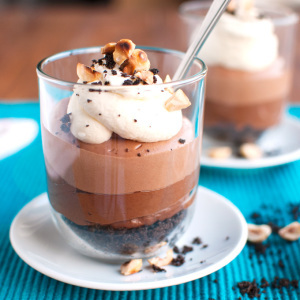 Serve warm with a dollop of whipped cream or (even better!) 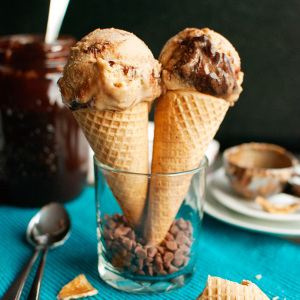 with a scoop of ice cream! Preheat the oven to 175°C/350°F(standard oven setting). 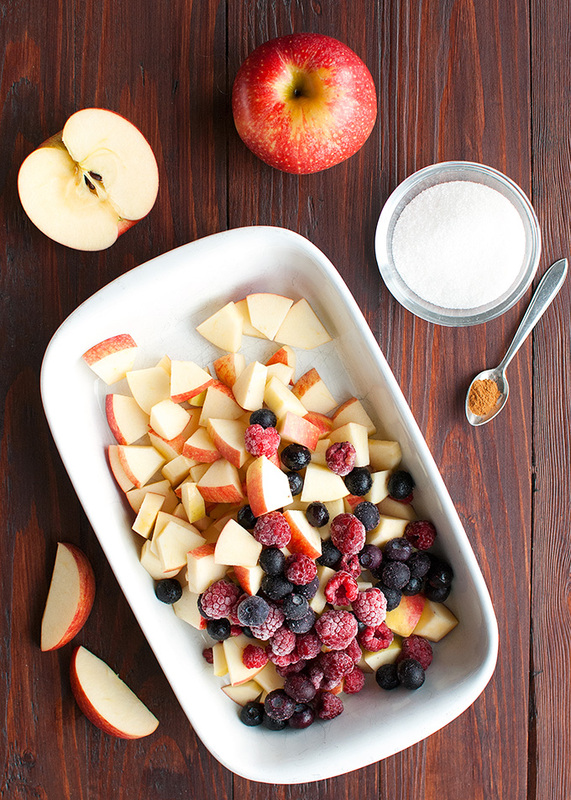 In a medium-sized bowl, combine the apple pieces and the berries and toss with the 1-3 tablespoons of sugar and cinnamon. 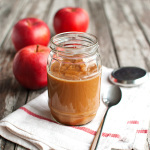 Transfer the apple mixture to a 14x25-cm/5.5-10-inch (or similar) oven dish. In a small bowl, combine the cold butter cubes, the remaining sugar, flour, salt and baking powder. Using your fingertips, rub the ingredients together until fine crumbs form. Add the rolled oats and crushed Biscoff cookies and stir with your hands until combined. 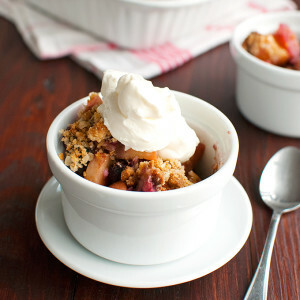 Sprinkle the crumble mixture in an even layer over the fruit. Bake the crumble on a rack in the middle of the oven until golden and bubbly, about 55-65 minutes. Remove from the oven and allow to cool slightly before serving. Serve as it is or with some whipped cream or ice cream.